A computer network's control plane governs how the network forwards data. Typical control planes are composed of several routing protocols spread across many routers and switches that compute paths for network flows in a distributed fashion. Computer networks play a critical role in the Internet infrastructure, and the control plane in particular is used as a vehicle to impose various communication policies. These include: who can/not communicate for security or compliance reasons, which flows to isolate, what performance classes to associate with different communication flows, etc. Unfortunately, control planes are often complex and bugs can easily creep in. Crucially, many bugs manifest only under unexpected failures. As such, networks are routinely plagued with catastrophic problems, such as routing blackholes, isolation breaches, network overload, and unavailability of critical services. In this talk, I will survey recent advances in the exciting new areas of network verification and repair that aim to improve network control plane resilience. Inspired by ideas from formal methods, these techniques automatically verify whether networks satisfy important safety properties, and if not, they repair networks with minimal human involvement. I will present my group's work on a new control plane abstraction called ARC which can speed up verification by nearly two orders of magnitude (from hours or days to seconds), as well as the first control plane repair approach called CPR that uses ARCs to compute minimal repairs. I will conclude the talk with interesting directions for future work. Aditya Akella is a Professor of Computer Sciences at UW-Madison. He received his B. Tech. in Computer Science from IIT Madras in 2000, and PhD in Computer Science from CMU in 2005. His research spans computer networks and systems, with a current focus on network verification, synthesis and repair, data center networking, software-defined networks, and big data systems. Aditya has published over 100 papers in leading conferences, including SIGCOMM, NSDI, OSDI, SOSP, and POPL. He has served as the program co-chair for several conferences including NSDI, SIGMETRICS, and HotNets. He is currently the Vice Chair for ACM SIGCOMM. Aditya's research has impacted commercial products in network virtualization, network functions, cluster scheduling, and content distribution. 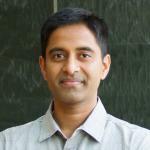 Aditya is currently a lead principal investigator for CloudLab (http://cloudlab.us), a large-scale testbed for foundational cloud research. Aditya has received several awards including the "UW-Madison CS Professor of the Year" Award (2017), Vilas Associates Award (2017), IRTF Applied Networking Research Prize (2015), ACM SIGCOMM Rising Star Award (2014), and several best paper awards. Seminar begins at 12 p.m.